In a town replete with Regency architecture, it comes as something of a surprise to stumble on a fine Tudor façade a short distance from The Parade. 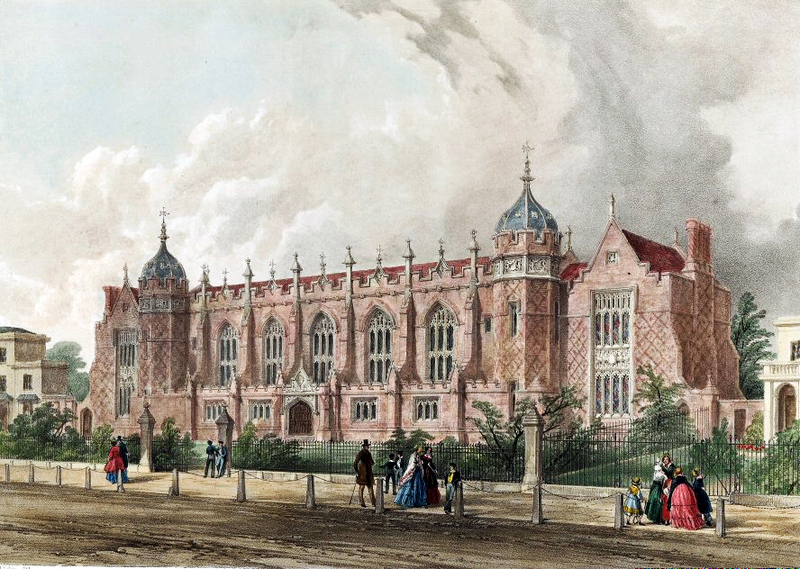 The building in question is the old Leamington College in Binswood Avenue, designed in Tudor Gothic style by local architect Daniel Squirhill and built in 1847 as Leamington’s first purpose-built school. Originally founded in Eastnor Grove in 1844 as the Warwickshire Proprietary College, its aims were to provide ‘for the sons of the nobility, clergy and gentry, a sound classical and mathematical education in accordance with the principles of the established church’. The land was purchased for £840 and Dr Henry Jephson was the principal donor as he continued to be throughout his life. It was Jephson who laid the foundation stone when it opened on August 1st 1848 and it was his arms that were later adopted as the college arms. 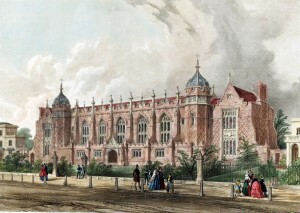 In its early years, the College was hamstrung by financial difficulties due in part to the restrictive admission policy. Headmasters came and went and the school was closed for lengthy periods. 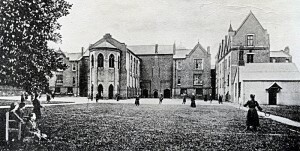 It became a public School in 1851 and in 1855 the College Rules were amended to allow the sons of tradesmen to be admitted for the first time. The financial problems persisted however and it was during one of the enforced periods of closure that a local tradesman Alderman Samuel Wackrill formed the Leamington College Company and purchased the Binswood Avenue premises for £3,500 on the open market. With the appointment in 1870 of Revd Joseph Wood formerly of Cheltenham College as headmaster, the school entered its most successful era. Sports grounds were purchased and large houses for boarding were acquired. A new chapel, gymnasium and sanatorium were built along with fives courts. 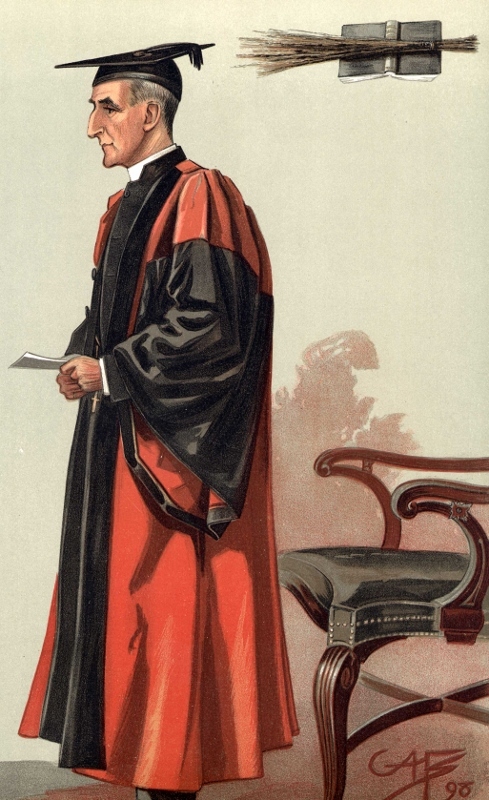 Leamington College flourished under Dr Wood due in no small measure to his enthusiasm for corporal punishment. 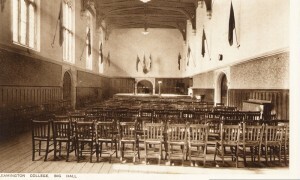 Wood left in 1890 to go on to Tunbridge School and subsequently to the Headship at Harrow. By 1894 the property was mortgaged for £15,000 and the number of pupils had fallen to thirty-three. The school was resurrected as a Preparatory School under another Anglican cleric Revd. Arnold Edgehill but the writing was very much on the wall at Binswood Avenue and in July 1902 the shareholders put the property on the market. 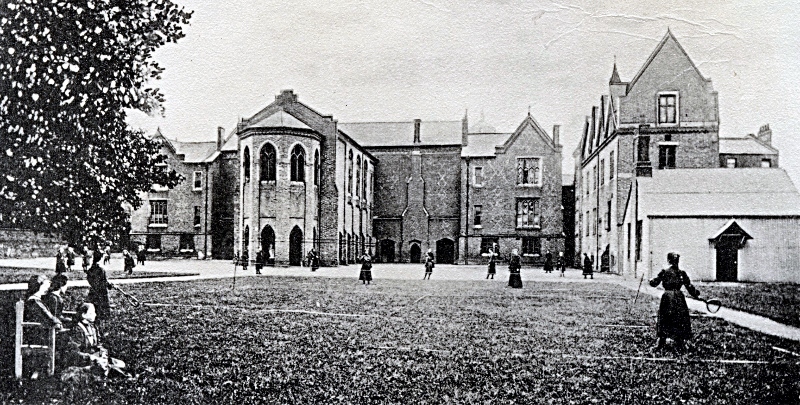 On April 1st 1903 a French religious order the Society of the Sacred Heart purchased the old college buildings for £10,000 for use as a training school for young ladies brought over from their convents in France. The nuns enlarged the premises and added a new wing at the north west corner of the great hall. The Society occupied the site until the start of the Great War when U-boat activity in the English Channel made the crossing from France too hazardous and the nuns rather reluctantly moved back to France leaving the property empty again. The knock-on effects of the war were to have implications along much of the South coast of England when in 1917 many coastal resorts were subjected to enemy bombardment. 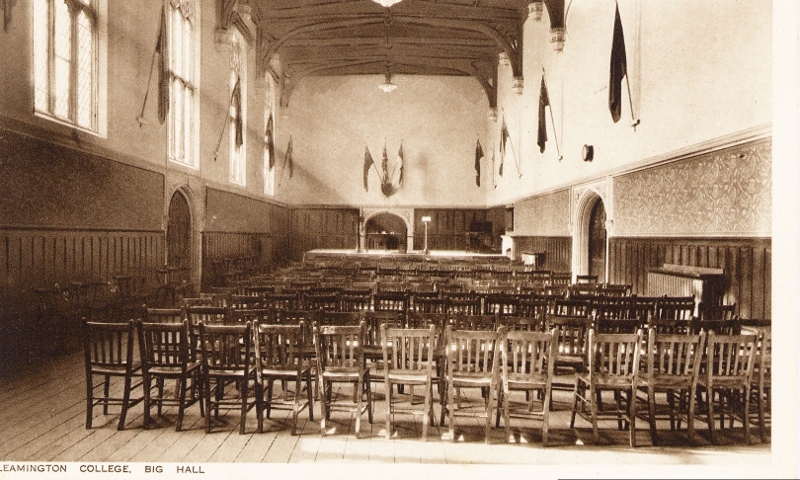 It was felt necessary to move many establishments away from the coastal strip and so it happened that in September 1917 the masters and boys of Dover College arrived in Leamington and took over the College buildings which had lain empty for three years. Dover College’s tenure of the buildings lasted until 1919 when they were able to return to Dover. The premises were then again put up for sale. It was in May 1920 that Warwickshire County Council bought the vacant site for £37,000 to house Leamington College, the local grammar school, which up until that time had been located in buildings in Avenue Road. The Binswood Avenue buildings continued to be the physical and spiritual home for several generations of Leamington College boys. Major additions were made to the school with the building of a new science block and swimming pool and by the acquisition of adjoining properties, In its heyday, Leamington College had upwards of 650 pupils at any given time and a teaching staff of over 50. Over the years it turned out many young men bound for universities and who would later in life become pre-eminent in their chosen careers and whose accomplishments will be recorded on this website in due course. The school continued to function under the headship of Fred Williamson and a long-serving staff until September 1979 when selective education in Leamington came to an end and the local grammar schools were swept away. The buildings continued in use as a sixth-form college named Binswood Hall before they moved to a new campus in Lillington and the old school was again boarded up. The really good news is that in 2013 the entire site is being developed as a gated retirement complex due to be completed in 2015 at a reported cost of £20 million. All of the original Squirhill buildings are being sympathetically restored and the Tudor Gothic frontage has never looked better since the day in 1848 when Dr Jephson laid the foundation stone. The old boys of the school are delighted that their old alma mater has at long last a more assured future. How do I know? I am one of them.